Since I am Reviewing all the other doll even though Mckenna is not new to me (And the girl of the year from three years ago!) I thought I would do her too. Last January I started Saving for Mckenna. I saved for almost seven months and bid on several dolls on eBay. One day I bid on a doll and got outbid by only four seconds! I bid on another doll and finally won! It turned out that the person who out bid me by four seconds didn’t pay so they offered it to me but I took the other doll. I received with her a fancy hairband, box, And two towels but I am not going to show you them. From her story she is a gymnast and struggles with school work. Here she is. Her hair is in the style she originally came in but the hairband is one of my own. 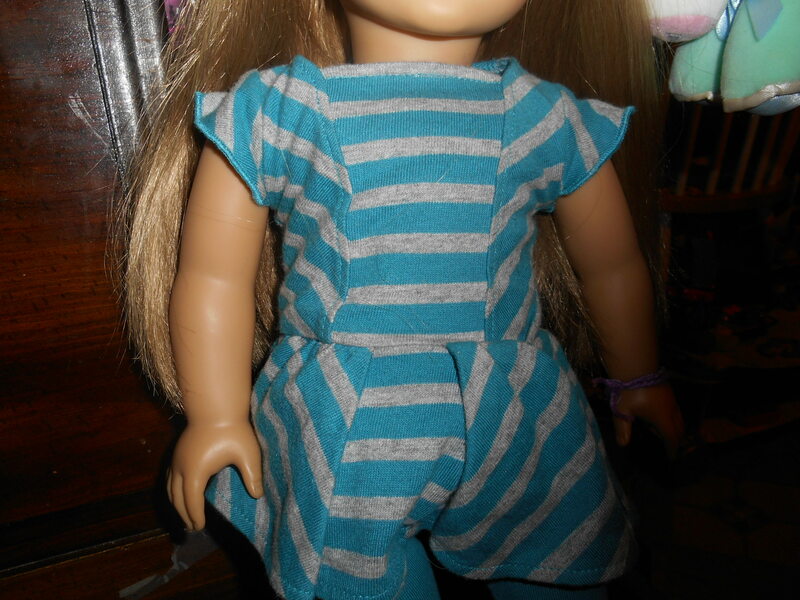 She has a sporty striped dress with stripes going in different directions. Her underwear and pants both have this ribbon graphic on them. Her shoes are kind of hard to get on but they are nice with stretchy ribbon going across the shoe. 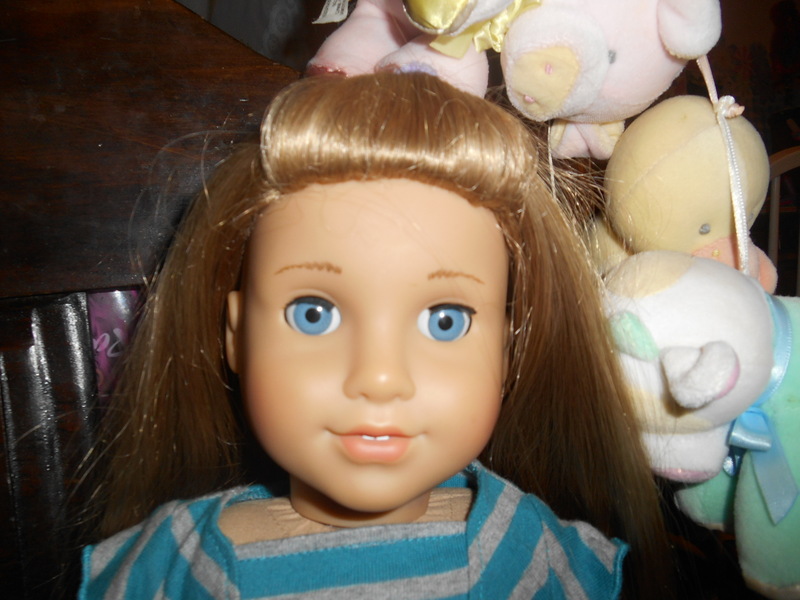 She has bright blue eyes and Carmel hair with different colored strands in it. She is a awesome doll and if you want her I suggest that you get her from eBay before the price goes up.